(BBC): Specialist British police units working to combat overseas corruption will receive government funding until March 2016, the international development secretary has announced. 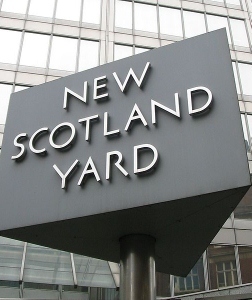 Justine Greening said parts of the Met and City of London Police and the Serious Organised Crime Agency (SOCA) will be given about £8.5m between them. The Crown Prosecution Service (CPS) will also receive nearly £399,000. Greening said the funding will help "step up" efforts to combat corruption. The teams investigate crimes such as bribery and money laundering by foreign or British criminals in developing countries in the Middle East, Africa and parts of Asia and the Caribbean. The CPS will form a new taskforce of British legal and investigative experts, to help recover stolen assets across the Middle East. The inquiries are separate from efforts to ensure UK aid is not lost to corruption, which is managed by a counter fraud unit within the Department for International Development (Dfid).